And a friend of mine belongs to our local Master Chorale. They are doing some fundraising, so I made a Christmas quilt for their raffle. I followed a tutorial by Missouri Star Company, and made it like this quilt I saw in blogland. There are only nine blocks, but they are huge, so the quilt ended up being pretty big. I rented a longarm and quilted Christmas trees & stars all over ( some designs are very forgiving, like this one). And I appliqued a folk art angel on the back – so cute! 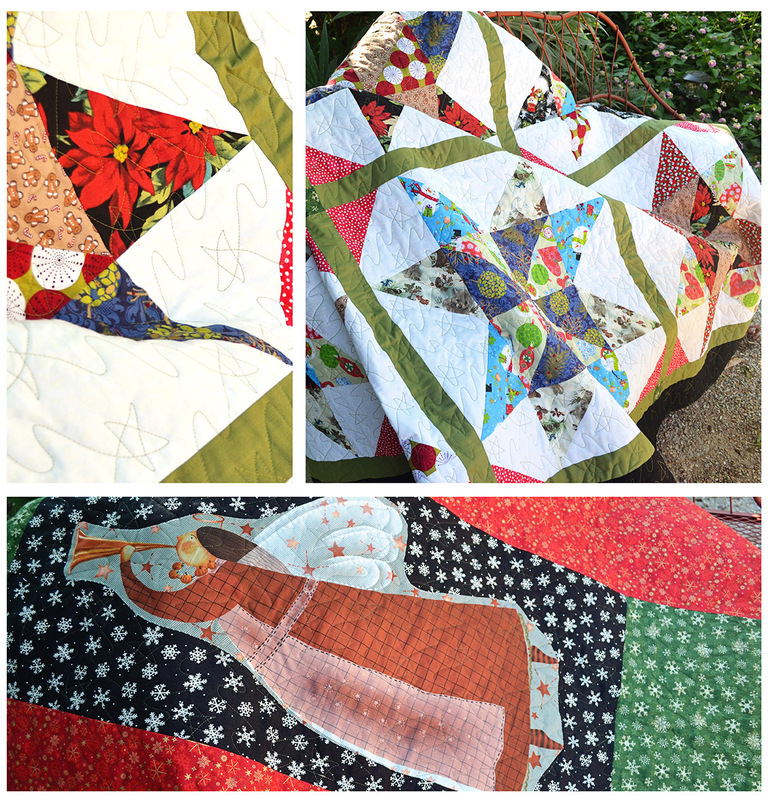 « Sew Sisters Exchange Quilt Reveal! Oh my! You’ve been busy. 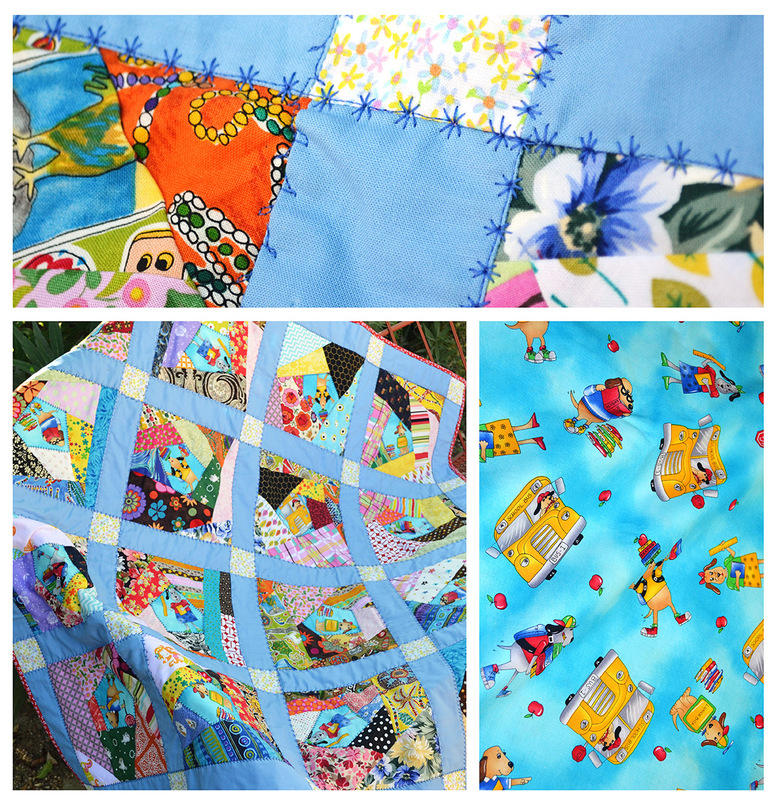 Such gorgeous quilts. How lucky they are to have your beautiful quilt as part of their fundraiser. I like the star stitch on the baby quilt, no one but you will realize it might be a tiny bit crooked. Besides it shows that the quilt is handmade. You have such a good eye for fabric matching.